Living with hemorrhoids can be a hellish experience, unless you know what foods to eat and what foods to avoid. You can even improve the quality of life immensely by knowing a few no-cost tricks that help reduce bleeding, inflammation and relieve pain and itching associated with the condition. Hemorrhoids can occur at virtually any age, to any person. Those most at risk of developing them are adults and 50+ people with a poor diet and bad lifestyle habits. The criteria for developing hemorrhoids lists living a sedentary lifestyle, battling recurrent, chronic constipation and enjoying a bad diet, rich in processed foods and low in dietary fiber. It has been found that genetics also plays a part in hemorrhoids occurrence, but the condition can be successfully prevented or managed without having to resort to costly and painful medical procedures by improving two key-aspects of your life: diet and exercise. 1) Dietary fiber. Foods rich in dietary fiber such as whole grains (whole wheat, oat, barley) or nuts and seeds (almonds, walnuts, sesame seeds, sunflower seeds, pumpkin seeds) are essential for good transit and easy stools. Dietary fiber basically adds bulk to stools, facilitating passage through the intestinal tract. Stools need to get bulky enough to make the muscles of the intestinal tract contract in view of eliminating them. Having oatmeal for breakfast, whole wheat pasta for lunch or pumpkin seeds for a midday snack prevents constipation, and thus strain, leading to effortless bowel movements that do not upset existing hemorrhoids. 2) Fruits and veggies. Although they may not contain as much dietary fiber as nuts and seeds or whole grains, they are needed to replace the unhealthy, constipating foods in your diet while supplying you with needed vitamins, minerals, calories and other nutrients. After all, one has to eat. But eating more natural foods prevents the condition from worsening. Kiwifruit, oranges, grapes, berries, apples, bananas, watermelons, pumpkins, legumes and green leafy vegetables are all rich in both dietary fiber and water and help with hemorrhoids in two ways: first they prevent constipation and, secondly, they help keep the intestines clean and ensure optimal transit time, all key-elements in reducing hemorrhoids discomfort. 3) Natural, unsaturated fatty acids. Healthy, natural fats such as those found in extra-virgin olive oil, flaxseed oil, sunflower seeds, sesame seeds, pumpkin seeds, avocado, tuna, salmon and so on are ideal for anyone dealing with hemorrhoids. Fats help lubricate the passage of our bowel movements, reducing strain and friction which may upset hemorrhoid veins. In addition to this, healthy fats such as these contribute to cardiovascular health and supply good amounts of antioxidants. 4) Herbal remedies to improve intestinal transit time. Drinking herbal infusions made from fennel seeds, senna leaf, licorice root or dandelion can help calm down hemorrhoid flare-ups. All four plants help improve transit time, promote contractions of the intestinal muscles and thus prevent constipation, the main cause of hemorrhoid flare-ups. You can add chamomile and lemon balm tea for relaxation as well. Other combinations that may work for you are welcome. The daily recommended dose is 1-3 cups of tea, but it might be best to ask your doctor for advice on the correct dosage. Pregnant women and anyone suspecting they may be allergic to certain plants should consult a doctor first. 5) Lots of liquids. People dealing with hemorrhoids know that constipation makes everything worse. And a sure way to prevent it is to drink sufficient amounts of liquids, namely water, fruit juices and teas. I say ‘sufficient amounts of liquids’ because every person is different and not all of us need the same liquid intake. If you have a small build, you may need as little as 1.5 liters of water a day. If you have a bigger build, you may drink up to 3 liters of water a day. A sure way to know how much liquids you need is to make sure you always have water at the reach of your hand so you can drink it whenever you feel thirsty. This way you will stay hydrated enough to prevent constipation and hemorrhoid flare-ups, but won’t drink more than you need, risking mineral deficiencies. If you do not pay attention to your diet and continue on the same path, your hemorrhoids can get worse up to the point they start bleeding, itching like crazy and become incredibly painful. So what makes hemorrhoids worse? 1) Too much white bread, processed foods such as biscuits, cakes, muffins, puff pastry, candy, pies, doughnuts and so on promotes constipation. In its turn, constipation leads to strain and hemorrhoid flare-ups. 2) Too much meat. Eating meat all the time constipates due to the fact that it is low in dietary fiber. Opt for healthy fish (see our Fish page) or lean chicken meat such as chicken legs to get your supply of proteins and healthy fats at the same time. Also, remember to always add vegetables on your plate next to meat products. 3) Spicy foods. Ginger, pepper, hot peppers can cause even quiet hemorrhoids to get swollen up to the point you cannot sit down without feeling serious discomfort. While they may be healthy, it is recommended to consume them with great care or avoid them altogether if your hemorrhoids are acting up. 4) Eating dairy products. Dairy products tend to have a constipating effect on many people. While kefir or sour milk help with bowel transit, hard cheeses, cow milk and their by products may promote constipation which causes strain which, in turn, worsens hemorrhoid disease. This is because most diary products are harder to digest, slowing down the digestion process and normal bowel transit. Dairy is not a good source of fiber either, making it bad for hemorrhoids if you eat too much. 5) Lack of exercise. Avoid sitting down for extended periods of time to reduce pressure on your bottom area. Get up from your chair every 20-30 minutes and walk for 5 minutes to get your circulation started and ease pressure. You can also do squats, lunges, leg lifts, but no more than 10-15 because strain on your lower body muscles also upsets hemorrhoids. While surgery is the only way to get rid of hemorrhoids for good (in most cases), dietary changes are the only ones that make the condition tolerable, prevent it from progressing or reappearing. 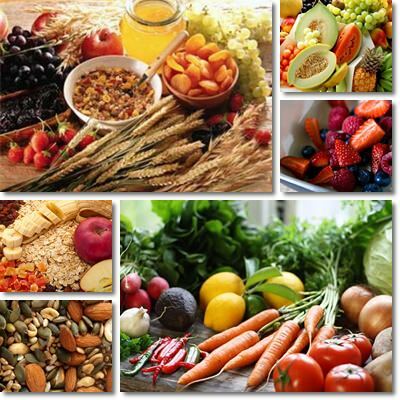 Fruits, vegetables, nuts, seeds and whole grains, as little processed as possible can improve your condition and its prognosis immensely in only a couple of weeks. Drinking sufficient liquids and exercising a bit help with blood circulation. It takes a while to adopt certain dietary changes and adapt them to your lifestyle requirements, but results can be downright amazing. 1) Exercise a bit. Swimming, jogging, walking all stimulate circulation and ease pressure on the bottom area, helping you better manage hemorrhoids in the long term. But if they are acting up, moderate exercising such as walking in the park or to the grocery store can help reduce discomfort by restoring normal circulation. Remember to avoid intense physical activity. This means avoiding lifting weights, heavy things or strain, including abdominal strain. Strain of any kind to your abdominal area, including strain from forcing out bowel movements, increases pressure and causes hemorrhoids to bleed. 2) Get a massage. Have a specialist or your significant other massage your lower back, bottom and upper and lower legs to get your blood flowing. Restoring circulation will not only relax you and make you feel more energized, but it also helps reduce pressure and help you better manage the pain. 3) Take your vitamins. Taking vitamin C daily is an excellent way to maintain your colon healthy and preserve blood vessel integrity. And because hemorrhoids are nothing more than swollen blood vessels that tend to collapse and bleed at the slightest strain or pressure, high doses of vitamin C makes them less prone to bleeding. Vitamin C is also a powerful natural anti-inflammatory and can help reduce inflammation and pain associated with the condition. It can also act as a treatment for hemorrhoids because it encourage the production of collagen to add elasticity to blood vessels (which is what hemorrhoids are) and help them heal faster. 4) Use petroleum jelly. This is great for easing discomfort on especially bad days because it is an excellent lubricant promoting skin care. Petroleum jelly greatly helps reduce friction and pain and discomfort associated with the condition. Small amounts can be used internally as well, prior to having a bowel movement, so as to ease pain. Petroleum jelly is ideal because it is not absorbed by the skin, but rather stays on it preserving its moisture and reducing friction with underwear or skin-on-skin friction responsible for irritation and pain. 5) Do not scratch. Scratching damages the skin, irritates the hemorrhoids and increases itching and pain sensations. For this reason, sufferers are advised to abstain from scratching the area and resort to sitz baths instead. 6) Do not scrub hard. When washing, gently clean the bottom area to avoid further discomfort. Avoid scratching or rubbing the area excessively with bath sponges or towels to avoid further itching, pain and bleeding. 7) Keep things clean. Bleeding blood vessels and damaged or irritated skin can easily get infected so wash regularly to prevent further complications. Use lukewarm water, mild soaps or gentle antibacterial products specific for the affected area. 8) Enjoy lukewarm sitting baths. While it may not sound as much, sitz baths or sitting baths offer great relief for hemorrhoid disease. Sit in lukewarm water 2-3 times a day, for about 10-15 minutes whenever your hemorrhoids tend to flare up. You can add medicinal plants such as chamomile to the water, but the bath itself should be enough. 9) Do not use conventional laxatives because laxative medication can be easily misused and cause diarrhea which, in turn, causes further irritation and soreness. Moreover, laxatives may be too hard on the already-irritated mucosa and may worsen symptoms. 10) Avoid aspirin and ibuprofen. The greater the amounts of aspirin or ibuprofen you take for pain relief, the higher the risk for bleeding hemorrhoids you have. If sitz baths, diet changes, medicinal remedies do not offer you the relief you seek, then it might be time to address your medical professional for a more definitive solution. 11) Do not postpone bowel movements. As soon as you feel the need to go to the bathroom, go. The longer you delay it, the worse it will be. The strain resulting from holding back will lead to more pain and a longer recovery time. It may help to eat at fixed hours. This should help give you a clear idea of your transit time so you know just about when you should go to the bathroom. This way you should not have to postpone it. 12) Avoid constipation. This is by far the most damaging for the progression of hemorrhoids disease which is why dietary changes and moderate exercising are vital to managing the condition. Overall, increasing your fruits and vegetables intake and decreasing your meat, dairy and processed foods intake is the most efficient solution to preventing constipation and managing hemorrhoids.